Will the FAA Track Hobby Drones? 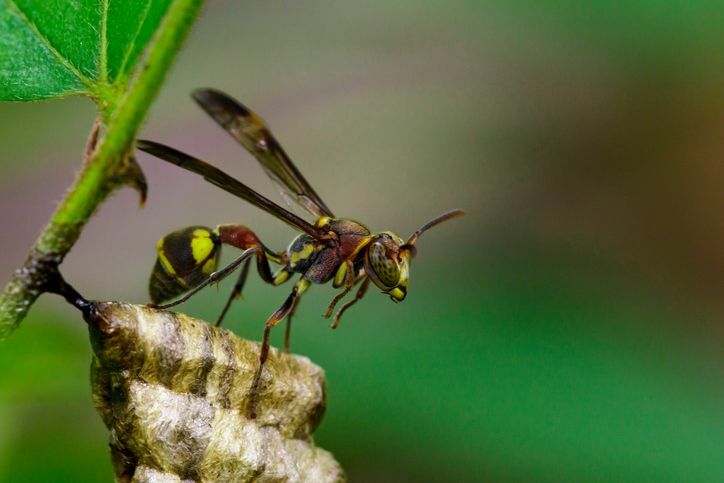 The European Paper Wasp first made it the U.S. in Massachusetts in the late 1970s. It wreaked havoc in Colorado and Utah for over 15 years before finally making its way to Wyoming in late 2016. The wasps are known for damaging ripening fruit and killing native insects. The European Paper Wasp is so detrimental to fruit orchards, producers have reported having no marketable crop left after an infestation. European Paper Wasps benefit from a lack of natural predators, a queen that becomes active in the early spring, before native paper wasps, and an abundance of man-made nesting habitats. European Paper Wasps like to make nests in protected overhangs, nooks, and cavities. In addition, the European species has thus far ignored all traps developed for native wasp species. These factors combined with the European Paper Wasps's broad diet range, allow the insect to flourish worldwide. The Utah State University Extension has found a few ways to reduce the European Paper Wasp population. Professor of Entomology, Diane Alston of Utah State University has found that traps baited with fermenting fruit juice attract the wasps. One farmer used a mixture of damaged raspberries, yeast, Squirt (the soda), water, and dish soap to effectively catch and kill the insects. When is my Wyoming pesticide applicator license up for renewal? How much continuing education do I need to renew my Wyoming pesticide applicator license? Private applicators do not have to complete continuing education but they must retake the exam each renewal cycle. Commercial applicators may either retake the exam or complete 24-hours of Wyoming-approved continuing education. This entry was posted in Pesticide and tagged Wyoming Pesticide Applicator.